BOB Jacket gives you a simple and convenient way to add new dimensions to bag training. Practice blocking, parrying, and working around arms for an even more realistic striking experience. 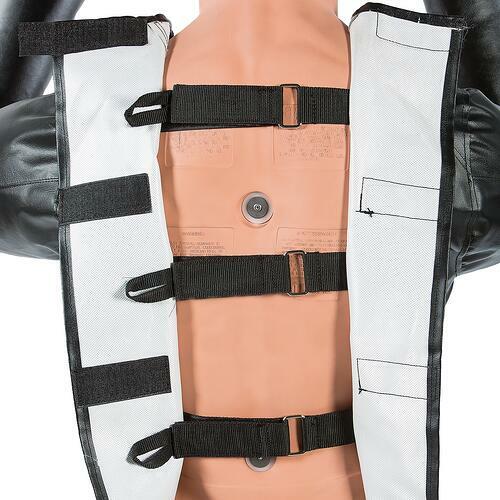 The jacket attaches to any existing BOB model with three rear buckles and four hook-and-loop tabs. Made of vinyl and high density polyurethane foam, with reinforced seams. BOB Jacket is an excellent training aid! All my students from children to adults enjoying using it. I myself as the instructor have enjoyed it very much! Takes Bob to another level of training. Practice blocks while hitting realistic targets. If you are training for self-defense, Bob and the jacket are must haves.